There’s a new deep-storyline RPG in development at Gizmodeus, and we can’t wait to tell you about it! Designed in a classic style, the game will feature deep story-telling and memorable characters with an unforgettable setting. Engine development is wrapping up, and the first concept art and screenshots are coming soon, so stay tuned! 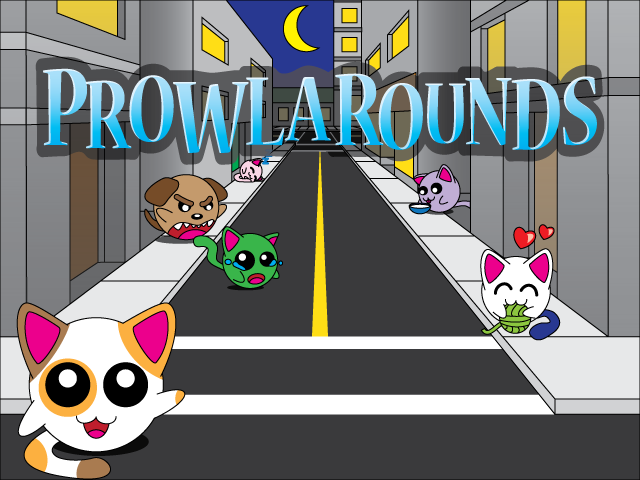 Our first game of 2013, Prowlarounds follows the adventures of a calico cat leading her kittens on a puzzling adventure in “set it up, hit play, and see what happens” style. 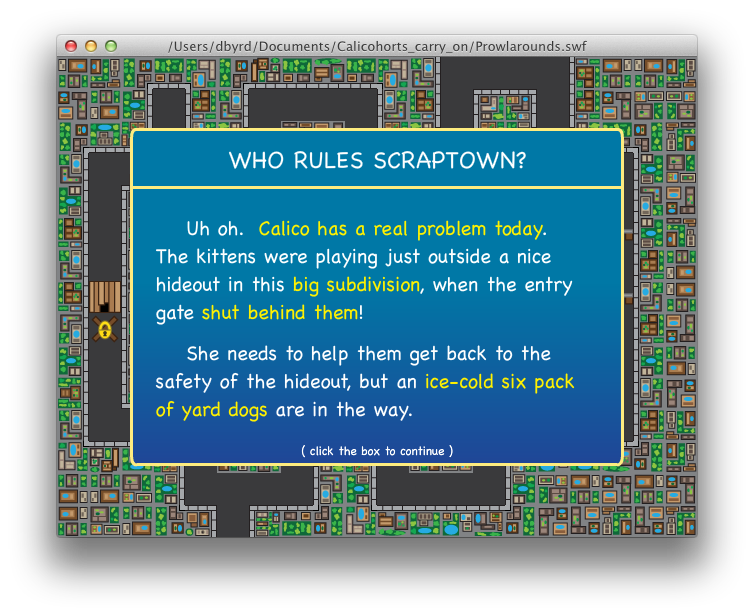 You must guide your kittens by luring them with fish, milk, toys, and more to help them avoid the dangers of the city, from dogs to animal-catchers. 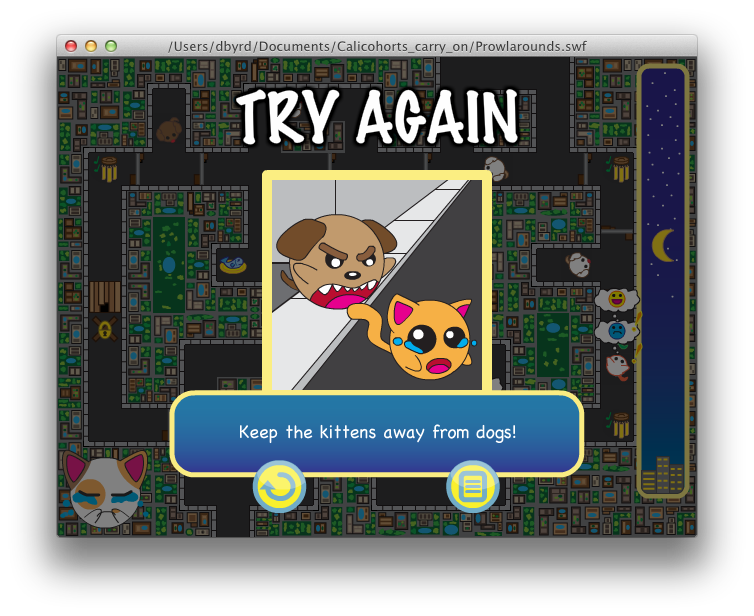 First screenshots of in-game play are below! 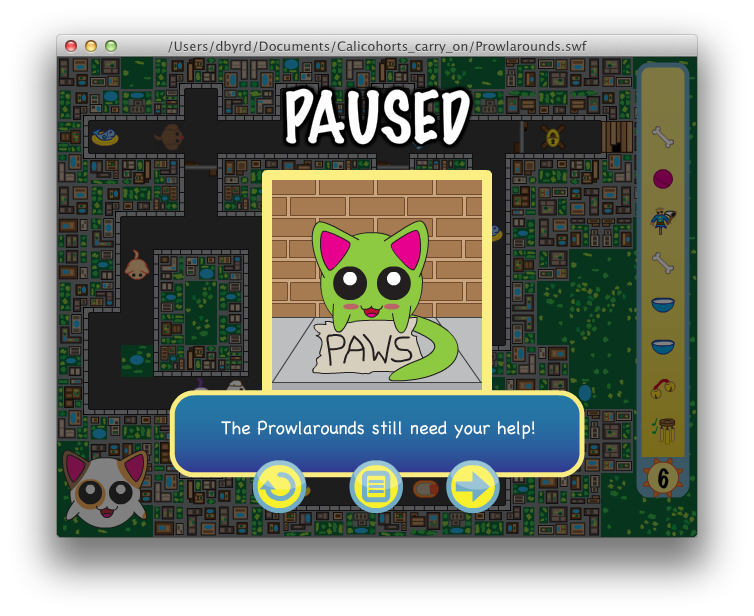 As Evette (couldbecuter.com) polishes the final artwork for Matchpot!, I’ve been testing the game thoroughly on our devices. It’s amazing how much more you can always find to fix or do, well after you thought the game ran perfectly in simulation. Since we decided to include video capture as part of the celebration for a Matchpot! (think jackpot), it looks like we will need to limit the game to the iPhone 4 for now, since that’s where the front-facing camera comes into being. The retina graphics look so crisp and polished that I’m jealous of her ability, as usual. 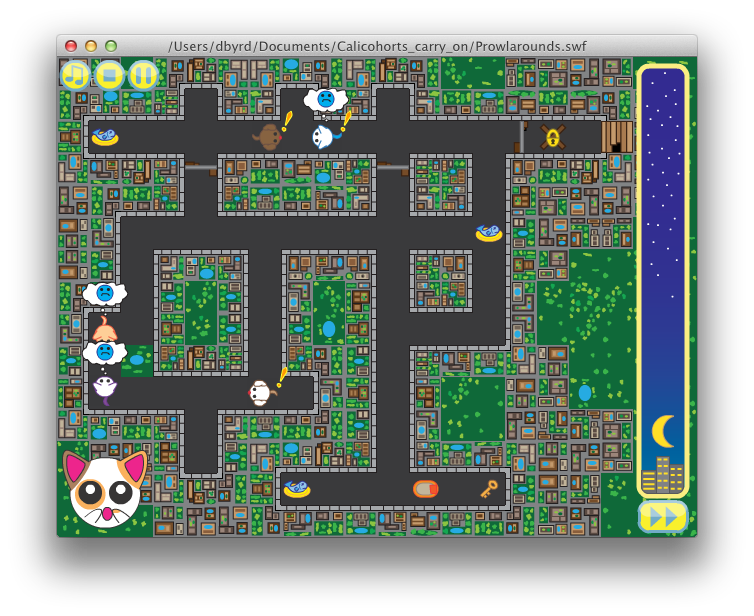 Over here in code monkey land, it has been a process mostly of reacquainting with C#, that love child of C++ and Java, and starting a library of game controller, level controller, menu classes which will hopefully be useful in future games. Time to market seems to be everything for an indie these days. I guess it really is like my CS professors used to say: encapsulation and reusability. You live or die by them. It’s strange being a full-time indie releasing a first game. Flying along without a safety net, the ground looks so close, and yet the sky is only one hit away. Gizmodeus Games LLC launches gizmodeus.com to assist customers, provide product information, and offer a look behind the scenes at Gizmodeus Games. Gizmodeus Games will be focused on the creation of new mobile games, mixing unique and original gameplay with interesting story and fresh artwork. Check back in early 2012 for designer and developer blogs, art resources and tips, detailed game help and information, and our initial game launch calendar.